The Hong Kong based company Coocepts have brought their Moon fascination to life with the world’s first levitating moon light. 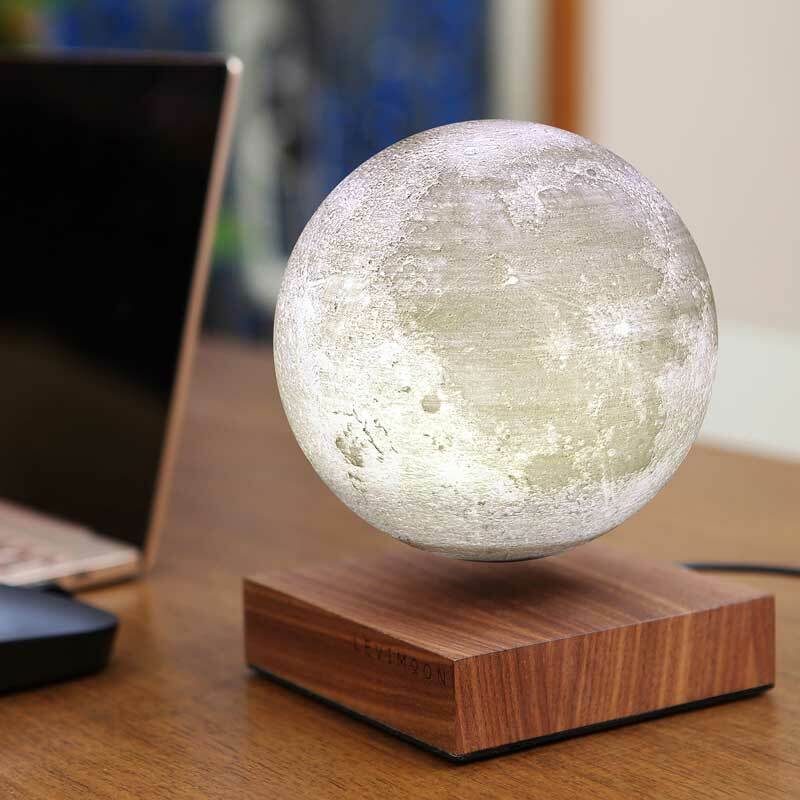 The lamp is a realistic replica and a stylish desk-size gadget for all the lunar lovers out there. The design team at Coocepts has always been fascinated by the Moon and while searching for a moon light lamp, they realized that the options were neither realistic nor beautiful. 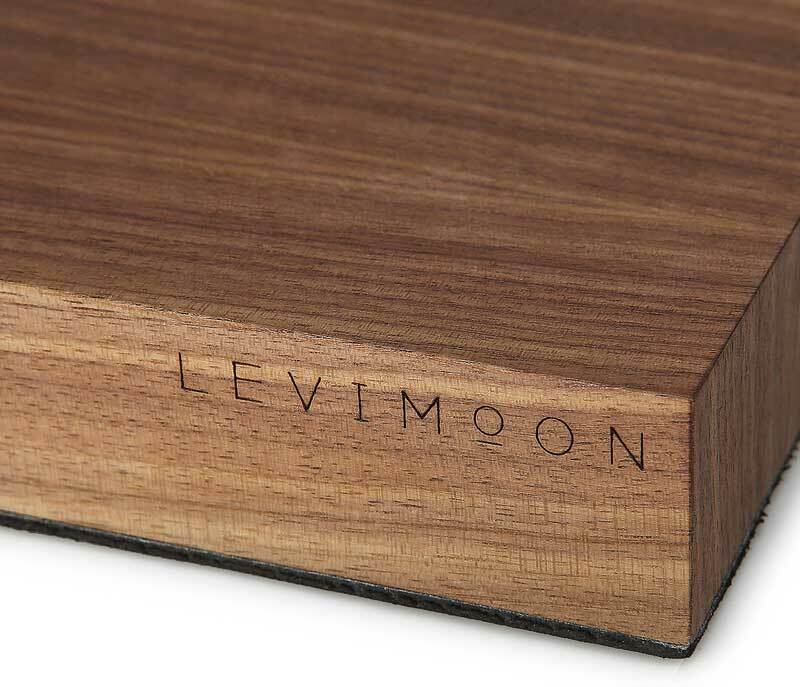 Instead, they decided to go ahead and design their own called “LeviMoon” using advanced 3D printing technology. 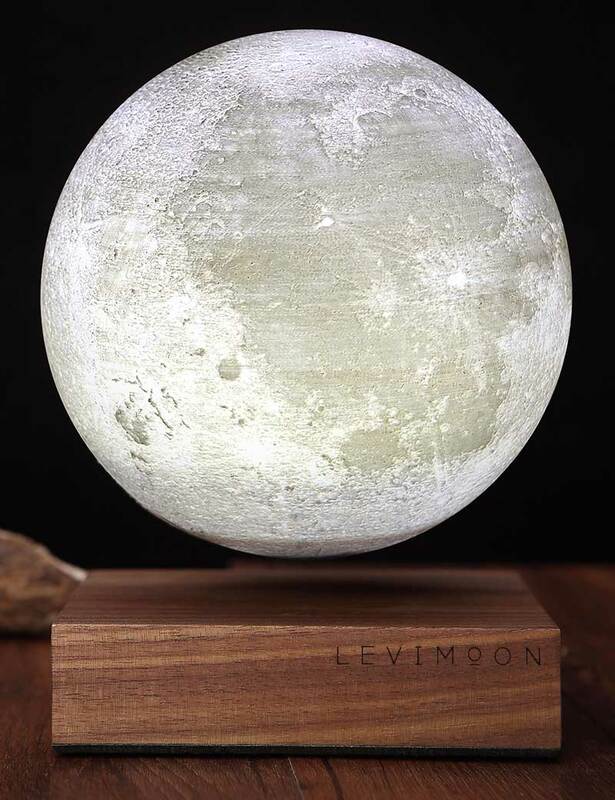 The result is an authentic mini-replica of the Moon with craters, crevices, and shading – and just like the real Moon, the light can be white, light yellow, bright or dim. In order to bring the closest feeling of the Moon, the moon light is printed with 1440 layers. A process that takes over 24 hours for one finished full moon. As the first model was a wireless light, the next big design challenge was to make it levitate. The prototype was finished after 6 months and at the end of a successful Kickstarter campaign, the team was even able to make further improvements to the design before starting the production. Strong neodymium magnets are implemented in the dock to make the Moon float – you can choose to rotate it at high speed or suspend without motion. 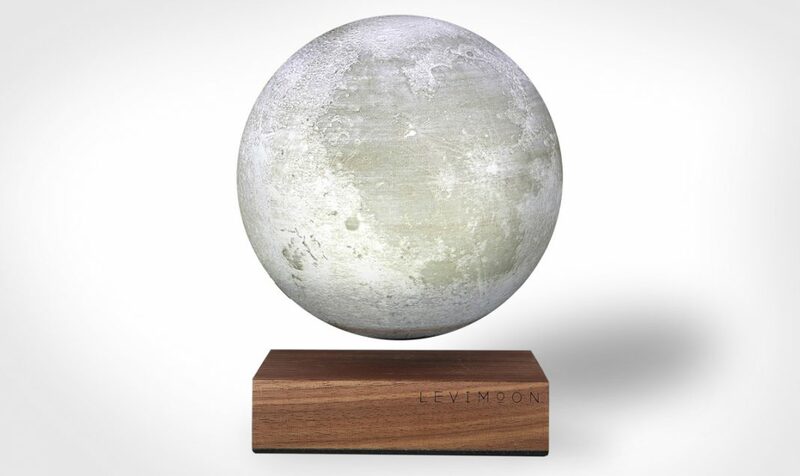 The LeviMoon miniature lunar replica comes with a sleek docking system in walnut, simple levitating operation, wireless charging while levitating and dimmable brightness with two light settings: warm and cool. Price for the 5.9inch / 15cm Moon incl. dock is $289 USD.